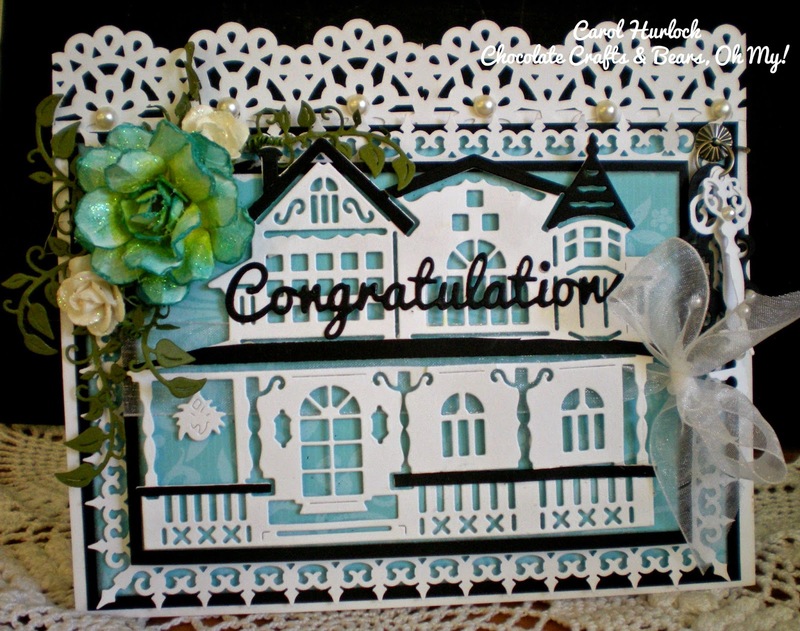 Hello everyone, today's card was designed for the Scrapping Cottage using the Beautiful CottageCutz Victorian Chandelier. I cant tell you how much I LOVE this Victorian Release, every die in this collection is absolutely beautiful! On my card here I cut the Chandelier in Black card stock, and added a bow to the top with a few Sweetheart Blossom Flowers. This card was super fun to make, and super simple too! The colors were used in a challenge on SCS and I added the brown as my neutral color. Hello everyone, and happy Saturday to all! 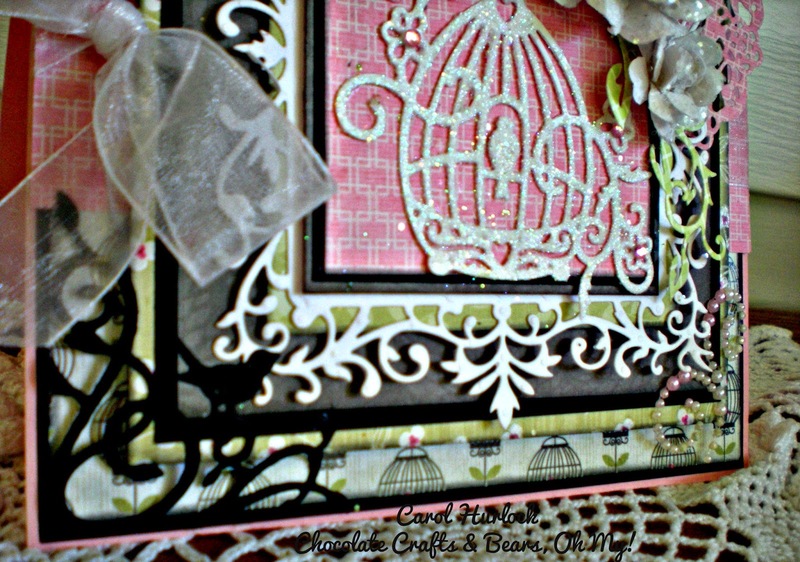 I also used the beautiful CottageCutz Victorian frame, and garden fence dies from the Victorian Release as well. They can all be found here. The greenery and fowers were colored with copics, and so was the Victorian Lady. 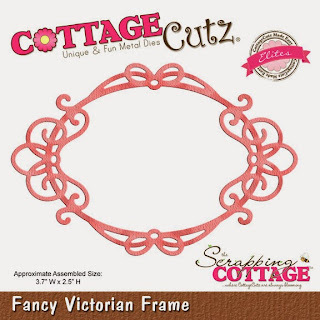 I am loving all these beautiful CottageCutz Dies from the Victorian Release! Greetings friends and papercrafters. It's Carol here today. 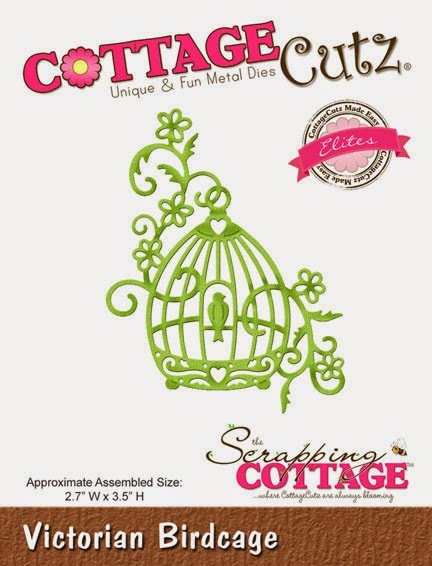 Welcome to another CottageCutz creations. Boy is this a beauty or what. Don't you just love this house. 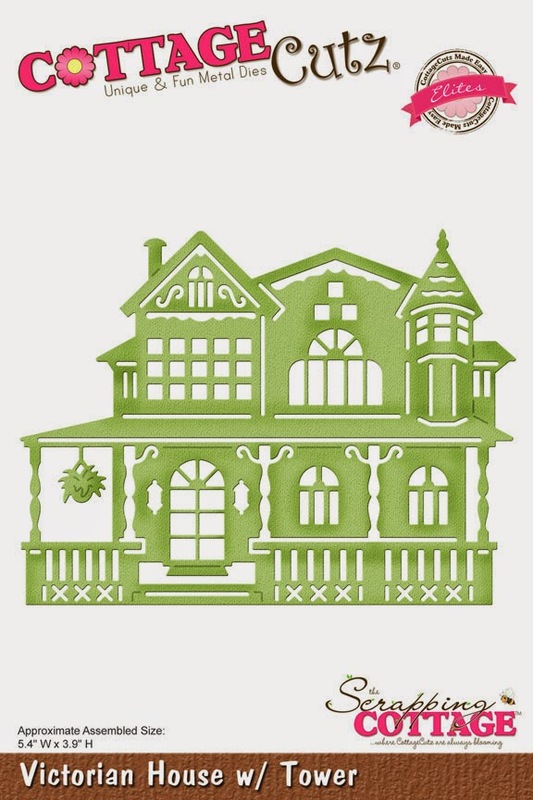 The die is called Victorian House W/Tower. It's a stunning die for sure. And what beautiful house wouldn't be complete with out the lock and keys to keep the burglars out. 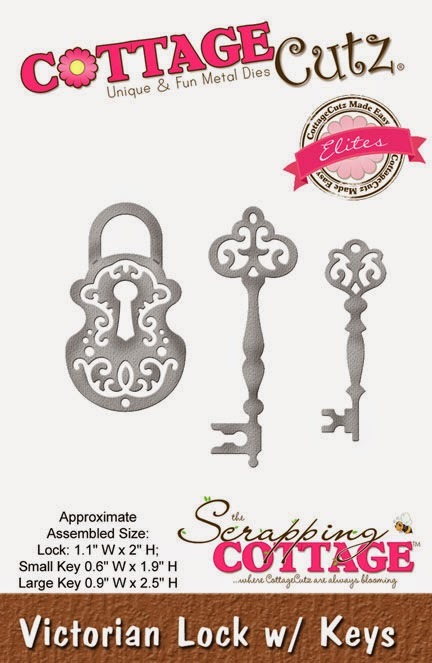 You can see the Victorian Lock and Keys die that was used to the left. I hung them on a little hanger brad. 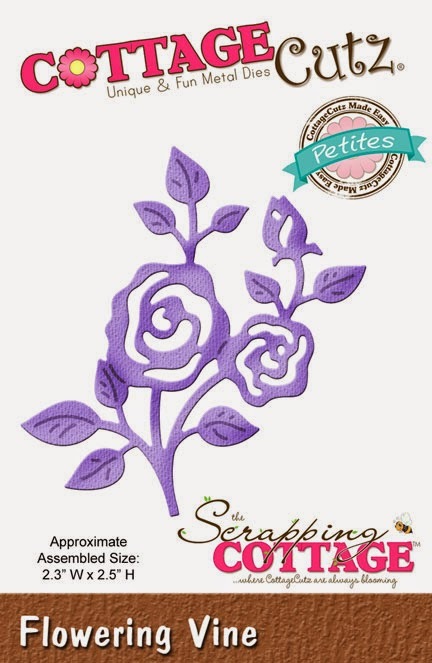 I love that embellishment so much! There are a couple of pearls accenting the keys too. The Vine die is ued under the pretty rose and caress the house perfectly. Hi, all. Vladka is here today. Today´s card is a little bit different, it has more mix media look. I used scrapbook paper for background and I glued it with gel medium on the basic surface and colored the borders with black gelato. 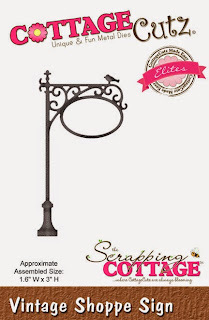 For the focal point, I used this gorgeous Vintage Shoppe Sign die and added a little heart in the middle of it. I wish you all great time! 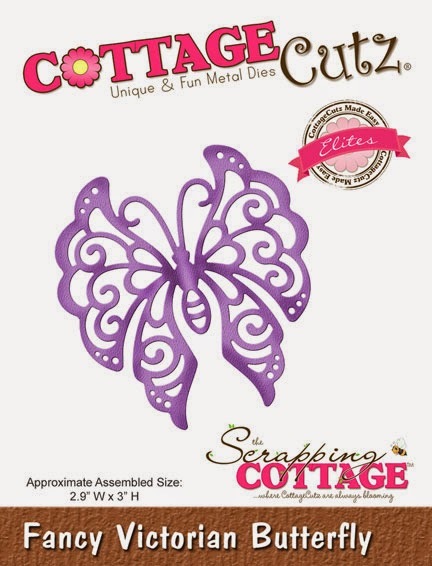 Right now The Scrapping Cottage is having a BIG SALE, Save up to 40% off most CottageCutz dies in the store. Now is the perfect time to stock up on all those DALING dies on your wish list! To go shopping please CLICK HERE! Have fun!!! 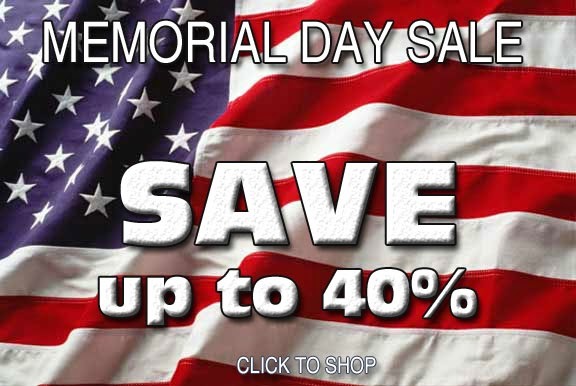 Sale ends Wednesday May 27th! 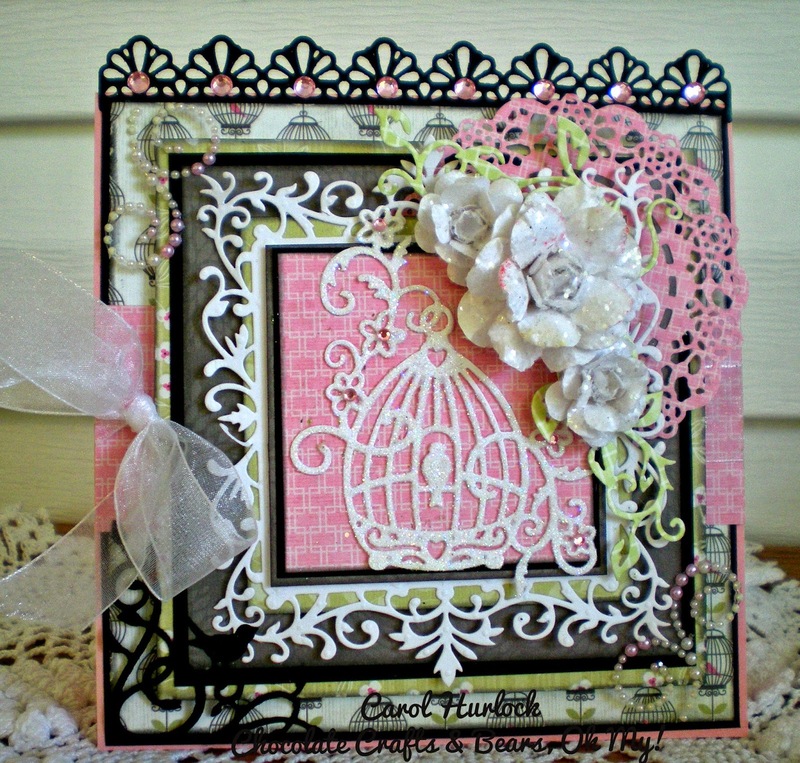 Today I am sharing with you my new project I created with beautiful NEW Victorian Collection of dies. This is the perfect gift for teachers, students or kids. 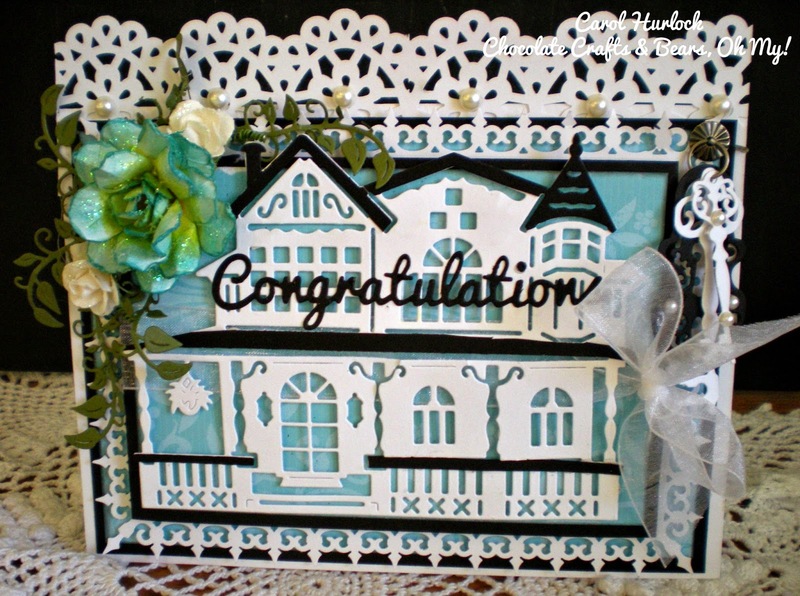 Just make a background using patterned paper and CottageCutz borders. Then, wrapped all pencils with this and glued Fancy Victorian butterfly on top of wrapper. Decorated butterfly with rhinestones. Greetings friends and papercrafters. It's Carol here. 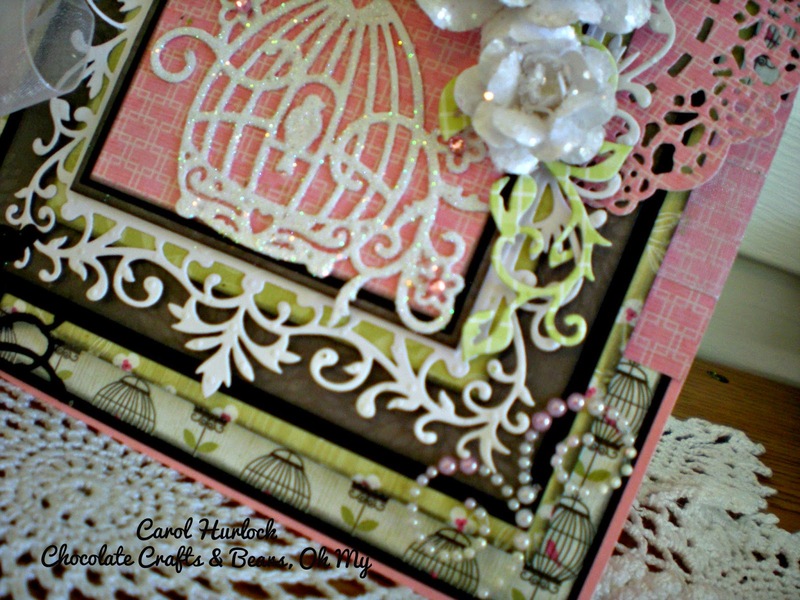 For today's creation for CottageCutz dies is this lovely card using the Victorian Birdcage, Flourish Bird Corner and the Flourish Vine. Don''t you love the background paper. It has little bird cages. I just had to use it-it goes along so well with the theme. Look at the beautiful lines and scrolls in the birdcage. It's so pretty. I painted it with glue and sprinkled with glitter. 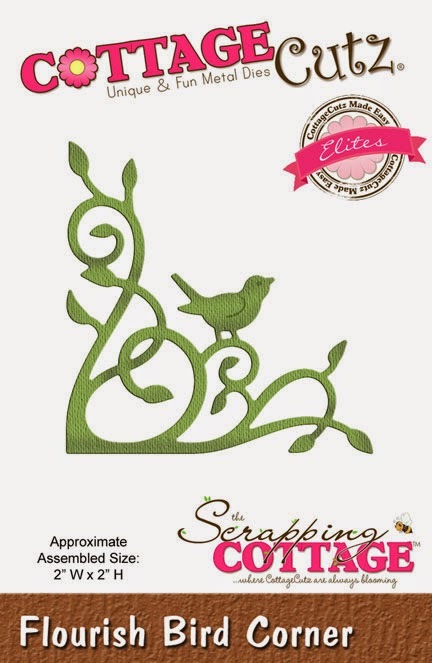 You can see the bird flourish corner here. This is a die you will find yourself using a lot. I know I will with all the birds are use in my creations. Thank you so much for stopping by today to view this creation. 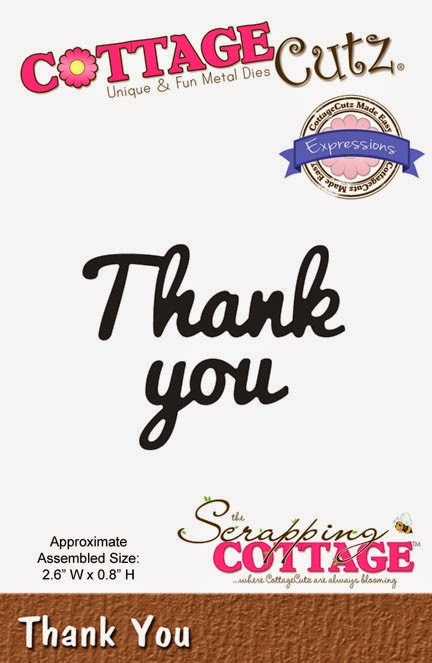 It is appreciated very much. Until next time, Happy Crafting. See you again soon. These are the dies used. Hi all. Vladka here today. This time I've combined one new and one old die. 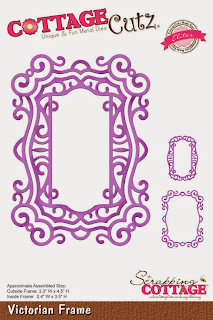 New one is taken from Victorian release and it is this gorgeous Fancy Victorian Frame. Older die was used just partly. 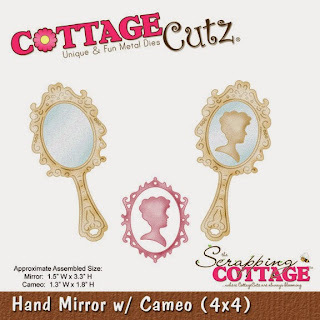 I've used just silhouette from Hand Mirror and Cameo die. Frame and Cameo were colored with Enamel Accent Black and inside part of the frame is colored with white paint and sanded with emery paper. Background was stamped with text stamp and sentiment was stamped on vellum paper. This is it for today, I wish you good start in new week. 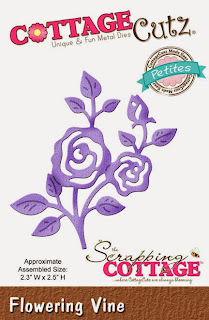 Cheryl here today and I'm posting an extra post to share a Post-it Notepad I made using CottageCutz Dies,for a dear friend. We celebrated Janna's Birthday Yesterday at my house, with a luncheon and lots of crafty fun! I just had to use this beautiful CottageCutz Victorian Butterfly Flourish as I love airbrushing them. I also added some glitter in a couple of pink colors to give it some bling. Love the way it looks in person! The card base was cut on the cricut, and then just added some circle layers in one of my favorite Bazzill Patterns, and in a Polka dot blue. 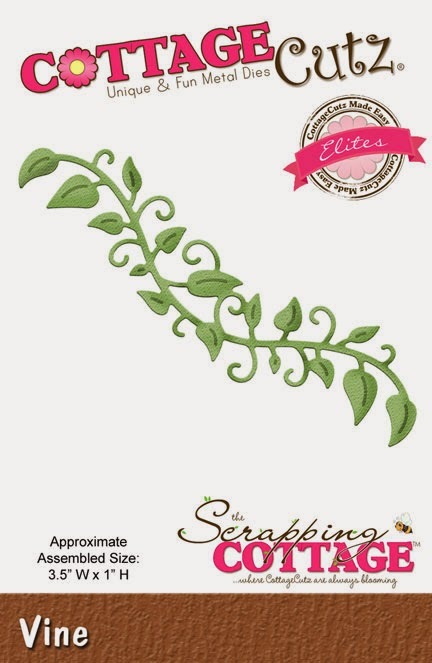 Next I added some Sweetheart Blossoms, branches, and a little seam binding to complete my Post -it notepad for today. I also went through my stash of stamps, and found a couple of sweet ones, that were perfect for her card/post-it. Thank you for looking and have a wonderful weekend! 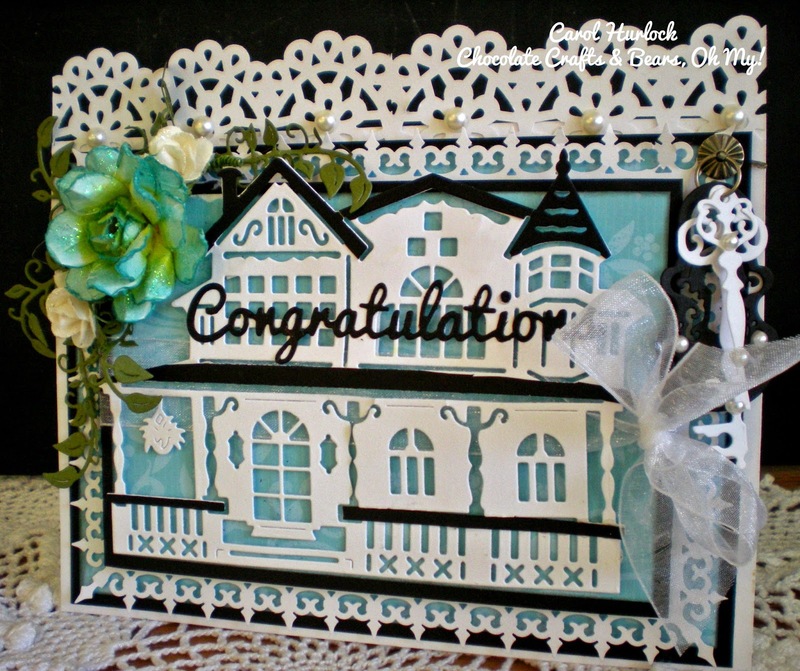 Today I am sharing with you my new Thank you card I created with beautiful NEW 2015 Victorian Collection of dies. Very simple and easy to make card. 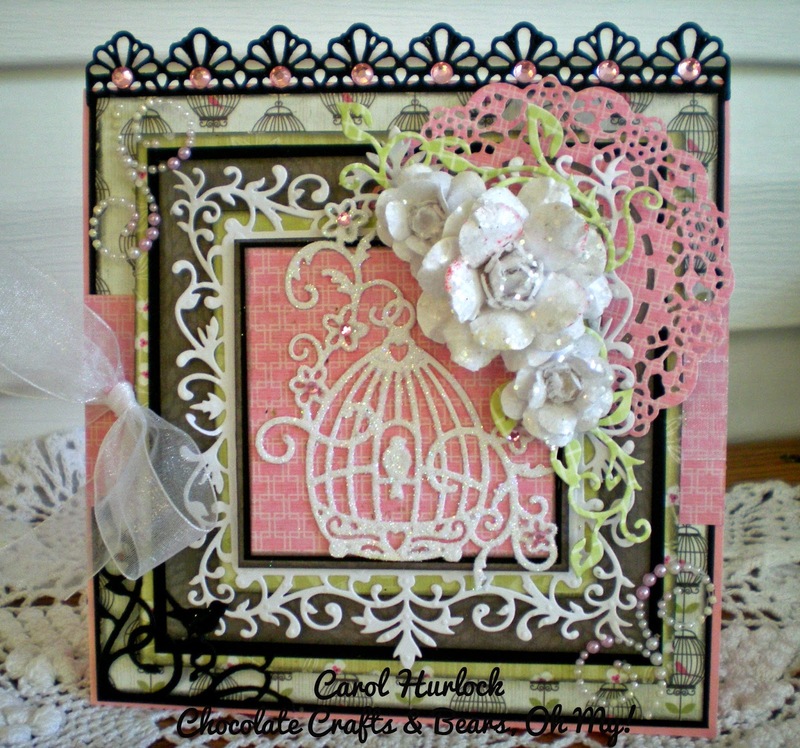 I used for this card - "Victorian frame", "Flowering Vine" and "Thank you" sentiment dies. 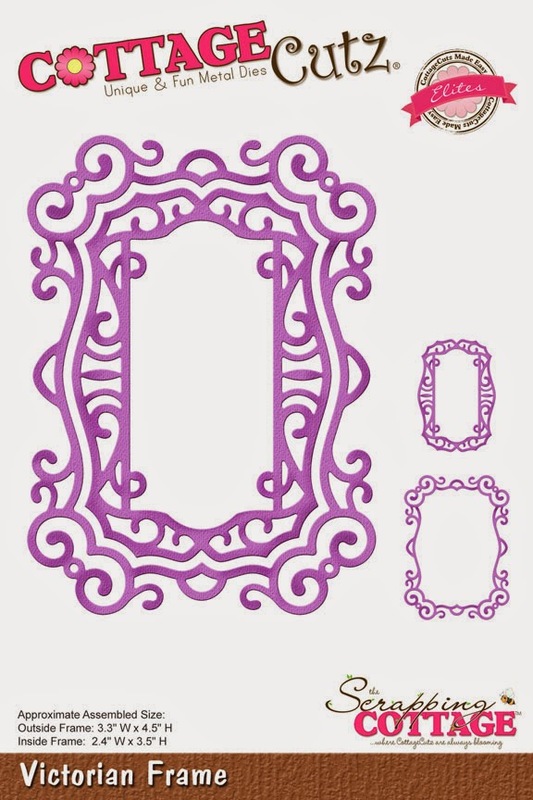 Just, cut frame out using burgundy and yellow paper and glued in the middle of embossing folder (Darice). Than, I cut flowers and sentiment out and glued on card too. 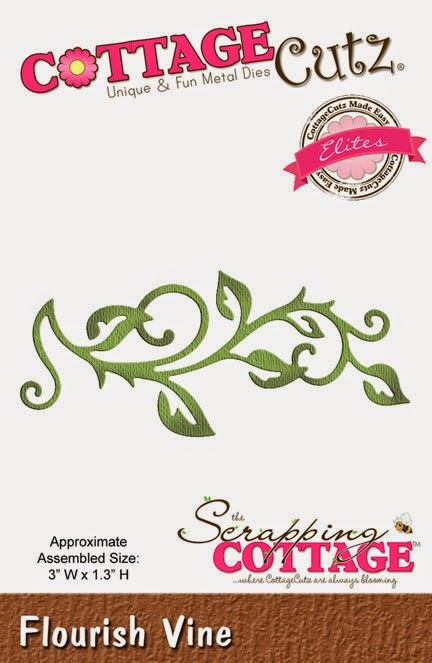 Decorate card with white rhinestones.